DALLAS –Dec. 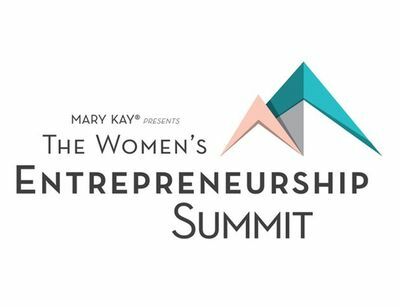 20, 2016– Mary Kay Inc. will host its first Women’s Entrepreneurship Summit on Friday, January 27, 2017, from 7:30 a.m. – 5:00 p.m. at the Fairmont Hotel Dallas, located at 1717 N. Akard in Downtown Dallas. Registration is now open, www.marykaywomenssummit.com. In partnership with The Dallas Entrepreneur Center (The DEC), Mary Kay will convene experts and thought leaders, with backgrounds in fashion, high technology, consumer-packaged goods and business services, for the inaugural summit specifically designed for women business owners. The day will begin with a light breakfast followed by morning keynote speaker, Gloria Mayfield Banks, internationally renowned motivational speaker and number one U.S. ranked Mary Kay Independent Elite Executive National Sales Director. Attendees will then select from a menu of breakout sessions, which have been customized for entrepreneurs of all ages and stages and will include case studies, how to’s and tools to take your company to the next level. A seated luncheon will feature an inspiring keynote speaker, to be announced. Pink Tank judges include Mary Kay Inc. Chief Marketing Officer Sheryl Adkins-Green; Abe Minkara, director of business development for Mark Cuban Companies; and, fashion designer and CEO Abi Ferrin. Registration is $100 per person prior to January 1, 2017 and includes light breakfast, breakout sessions, lunch, keynote speakers, mentorship opportunities, Pink Tank and post-event reception. On January 2, registration fee increases to $125; and $150 per person at the door. For more information or to register, visit www.marykaywomenssummit.com or info@thedec.co.